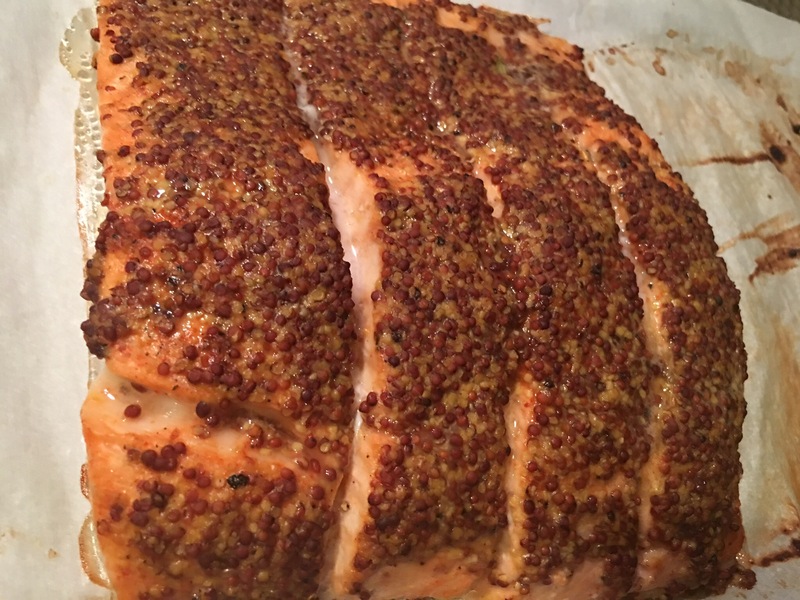 Red quinoa, green peas, and baked salmon with mustard crust – Hurried Home Chef! I often cook many dishes on Sunday afternoon and keep it for the week. 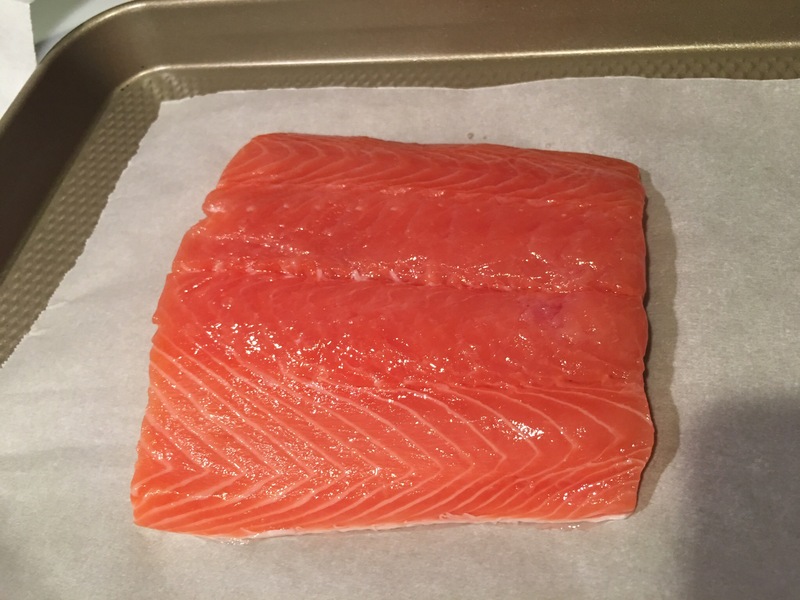 One easy dish to make is salmon. Seasoned with sea salt, cayenne and black pepper, then spread with whole grain mustard. Then I score it so it’s easier to portion once it’s cooked. I baked at 375 for about 20 minutes. 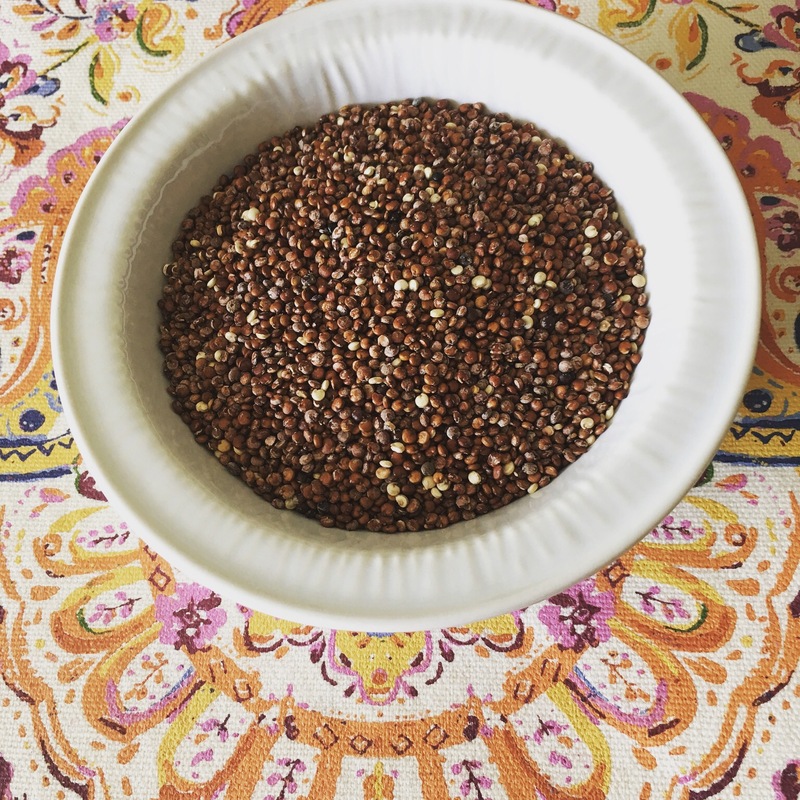 While that was cooking, I made some quinoa. 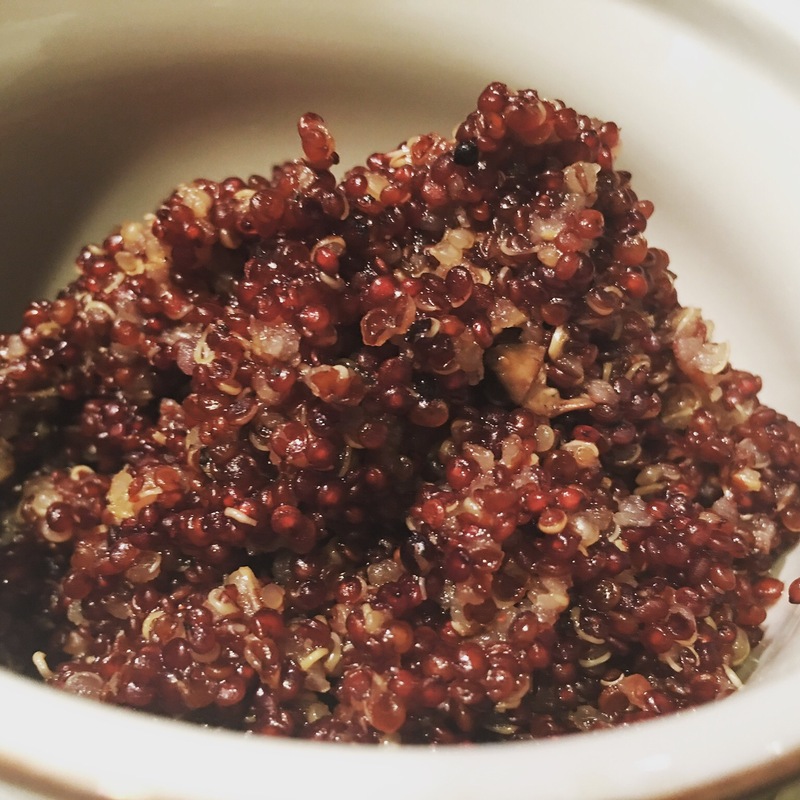 This is red quinoa, it happened to be on sale, but I do like this flavor more. I cooked with with chicken stock and a piece of hot pepper. I make 1/2 a cup to 1 cup of stock, bring to a boil then simmer, covered, for 20 minutes until fully cooked. That’s about 3 portions for one person. After work, it is easy to just heat and eat! 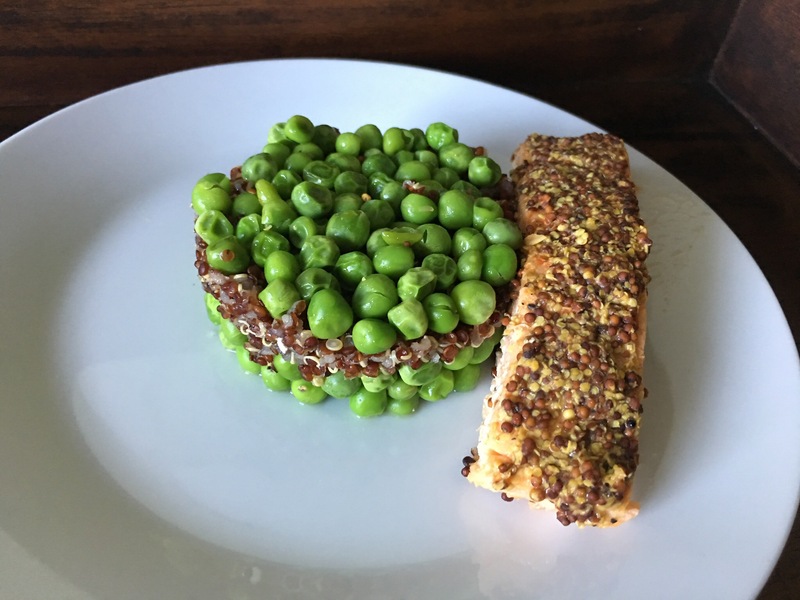 Using a simple mason jar ring, I stacked some steamed green peas and put the quinoa in the middle. Done. 5 minutes. Next Post Curry in a hurry… chicken legs with potatoes!